Our goal is to elect more Humane Candidates to the South Dakota Legislature in the 2014 election. Your vote as well as your financial support are key to electing legislators who will champion stronger laws to protect animals. We are encouraged that both Republicans and Democrats are showing that the humane treatment of animals is important to South Dakotans across party lines. Check our PAWSitive Voting Record to see how your legislator voted last year. Check our 2014 Candidate Survey for their remarks on issues important to you. 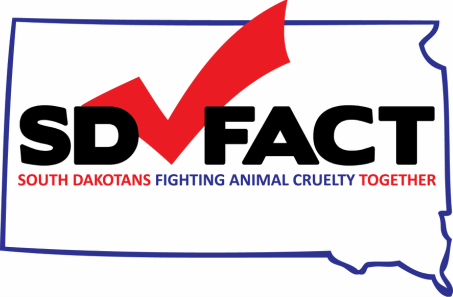 Donate to SDFACT PAC and make a difference for South Dakota’s animals today! Get political for South Dakota’s animals. Vote Humane.